The geometry of space is not just one with straight lines, normal corners on a zero-cervature plan, like the traditional Euclide geometry ( zero curvature) learned us. 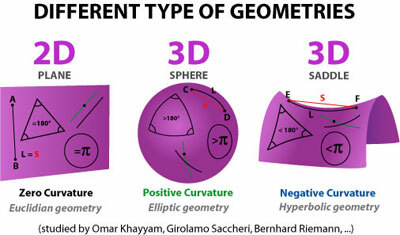 In spaces with positive or negative curvature other rules are valid like you can see on next images of the sphere ( a positive curvature) and the saddle (a negative curvature). 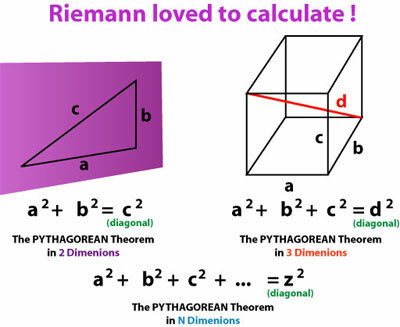 From this insight George Bernhard Riemann developed a new geometrical concept, today called the Riemann Space. 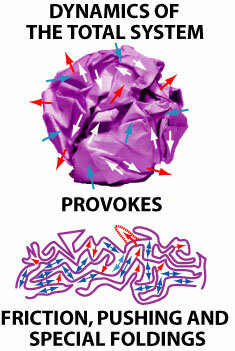 To him: Force can be understood simply by geometry. 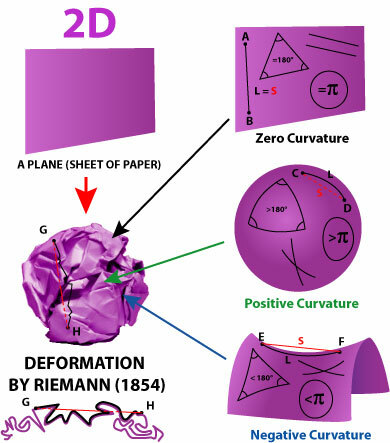 In fact the Riemann crumpled paper ball has all three type of geometric curvatures in his structure. undistorted. 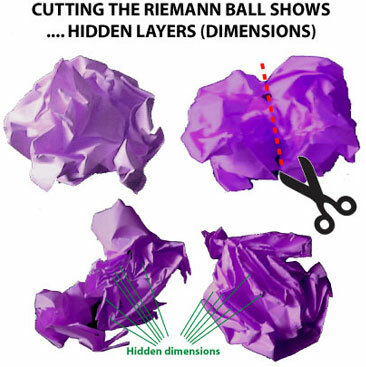 Because these creatures can only perceive two dimensions, they would not be able to detect that their own bodies crumple with the paper in the higher dimension. 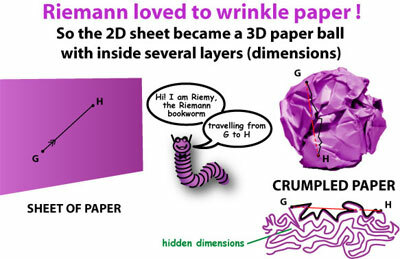 The “force” that would keep the bookworm from moving in a straight line was not a mysterious “action at a distance”, but a result of the unseen warping from the third dimension. 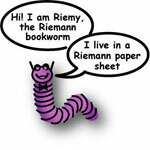 The approach of Riemann opened new ways of mathematics, adding new dimensions. This brought new insight in various interacting forces and parameters, related to the dynamics of the Riemann space. These are included in the Riemann Metric Tensor. © Dirk Laureyssens, 2002/2007. All rights reserved.